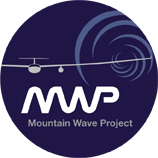 Focal point of the ongoing and planned activities of the meteorologcal section is the Mountain Wave Project (MWP). Its ambitious goal is the global classification and analysis of mountain waves and their associated rotor bands. 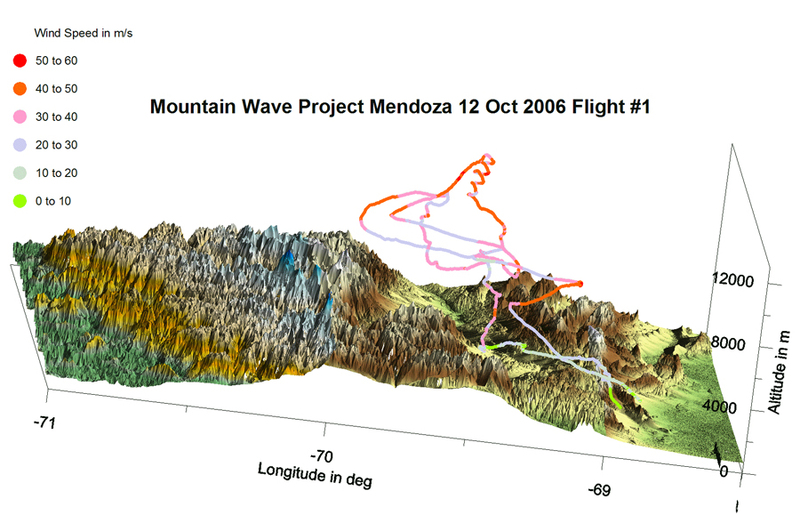 In November 1999 the Mountain Wave Project launched its first expedition to the Andes of northern Patagonia in Argentina. A highly competent team of experienced mountain pilots and scientists collected data on wave systems within a 200 Kilometer radius of San Martin de los Andes. 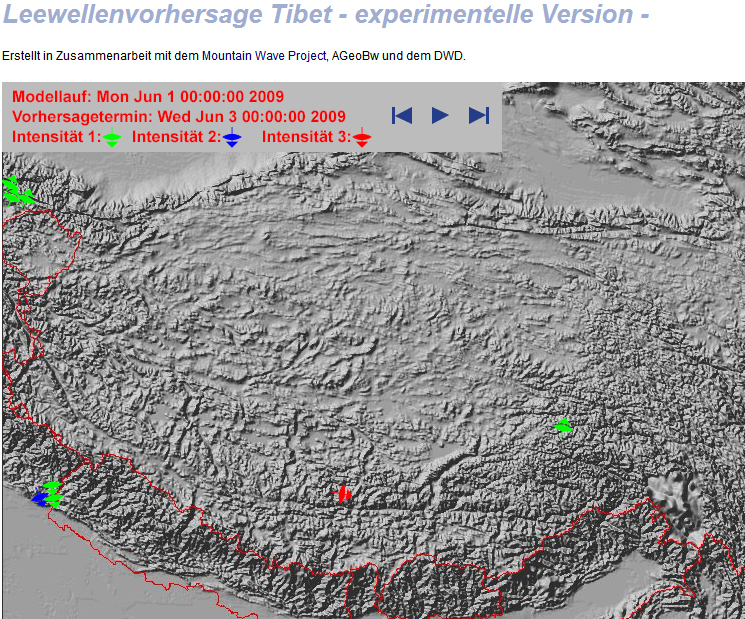 Measurements and the analysis of two wave events have been presented at the International Conference on Mountain Meteorology in Innsbruck 2001, as well as published in Technical Soaring 32(3). Most impressive were also the achievements of the team in the realm of long distance soaring. Several exploratory flights of well over 1000km culminated in the longest straight out flight at the time of 1550km from San Martin de los Andes to Rio Grande in Tierra del Fuego by Klaus Ohlmann in the Stemme S10VT. Between 2000 and 2004 MWP team member Ohlmann built on the knowledge about wave systems in the Andes gained in 1999 and accumulated a wealth of experience, which finally allowed him to win the Kuettner Prize for the first 2000km straight out wave flight as well as setting the mark for the longest soaring flight of all times (3008km). Supported by his MWP teammates in Germany using a new weather forecasting tool he provided crucial in flight data, which in turn helped to improve subsequent weather prediction. Two MWP members participated in the 2006 field campaign of the Terrain Induced Rotor Experiment (T-REX) which took place in the Sierra Nevada/USA. René Heise served as scientific reviewer for the National Science Foundation and contributed MWP wave forecasts to the data archive. Wolf-Dietrich Herold documented activities in Boulder/CO and Bishop/CA and produced a TV-report of the project for the German station RBB. 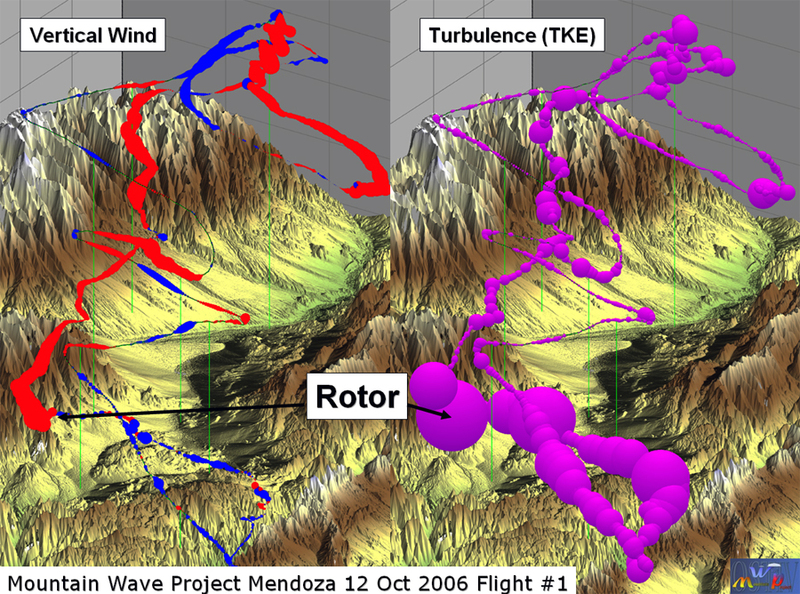 October of 2006 saw the second foray of the MWP into the investigation of waves and rotors over the Andes. 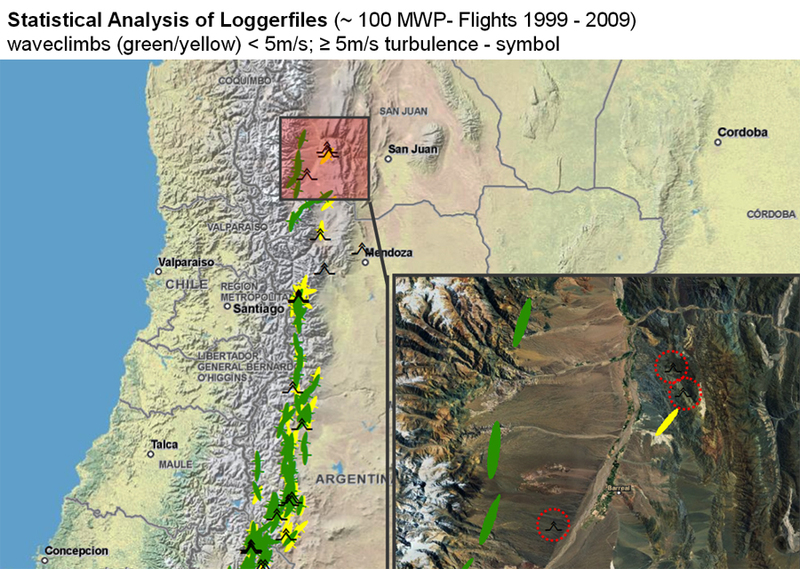 Invited by the Argentinean Air Force to their base at Plumerillo airport near Mendoza the researchers explored the highest region of the Andes around Aconcagua. The MWP core team of René Heise, Klaus Ohlmann and Wolf-Dietrich Herold was joined by Jörg Hacker of Airborne Reseach Australia (ARA) who brought sophisticated instrumentation including a high resolution (100Hz) turbulence probe. 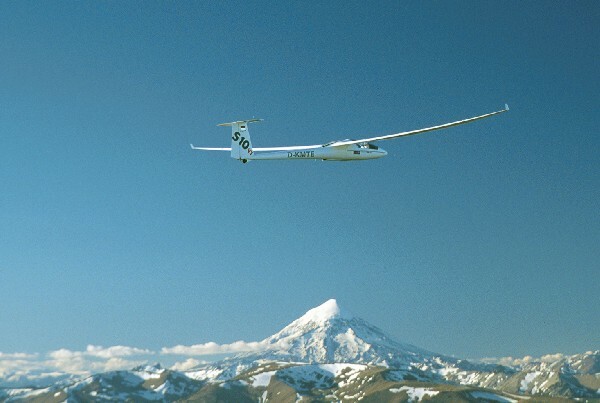 Again, a Stemme S10VT was used as airborne research platform, since it combines in unique fashion the soaring characterisitcs of a high performance glider and the high altitude capabilities of a turbocharged engine. Focusing on rotor-generated turbulence data logged during four flights were analyzed. One wave climb to 12,5km delivered a comprehensive wind profile for the altitude range covered. A report on the activities of Operation Mendoza including first results was presented at the 2007 Meeting of the Australian Meteorological and Oceanographic Society, as well as at the 2008 Berlin Airshow ILA. After two expedition to the Andes the MWP Team is now in the process of planning a research mission to the Tibetan Plateau and the Himalajas. Objectives are going to be once more measurement of turbulence parameters in and above the highest valleys and mountains, vertical momentum transfer and the diurnal anabatic flow in the complex terrain. Investigation of ozone and carbon dioxide levels is also being considered.